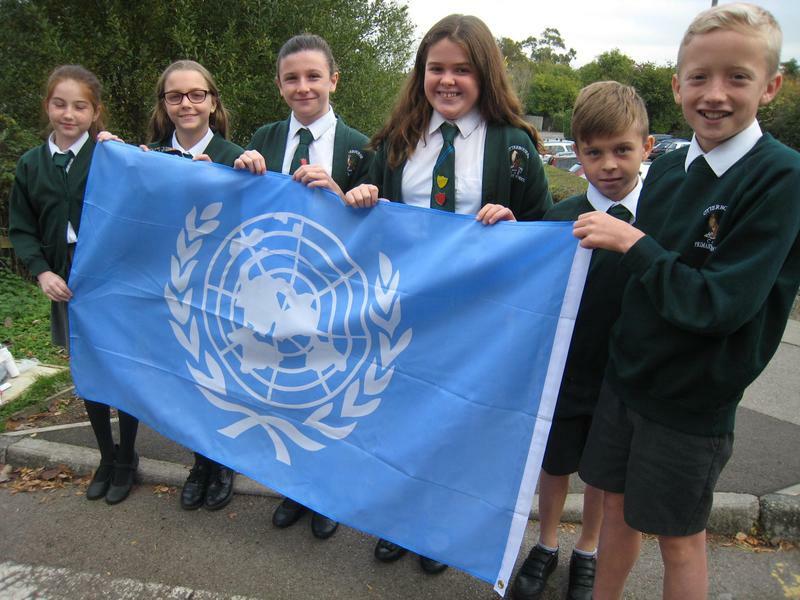 In anticipation of United Nations Day on 24 October, House Captains raised the United Nations Flag on our last day of half term to recognise the anniversary of the United Nations Charter from 1945. House Captains shared their knowledge of the United Nations flag and explained that the two olive branches on the flag, surrounding our world, represent peace. We wish you all a very peaceful half term!